Both sexes without wings. Color uniformly dark brown or with pterothorax yellow. Antennae 8 to 9-segmented, segment VI with incomplete oblique suture producing an apparently 9-segmented condition; segments III–IV with sensorium simple. Head weakly reticulate; ocelli not developed, ocellar setae III as long as diameter of three ommatidia. Pronotum with no long setae, medially with little sculpture. Meso and metanota transverse. 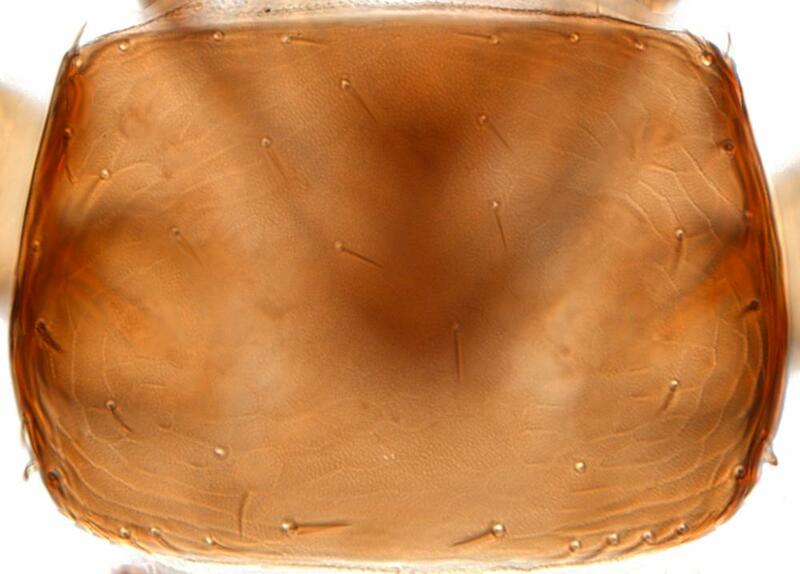 Tergites with transverse reticulation medially, tergites I–VIII with well-developed craspedum on posterior margin. Sternites III–VI with well-developed 7-lobed craspedum, the sternal posteromarginal setal pair S3 arising mesad of the posterolateral angle on each sternite. 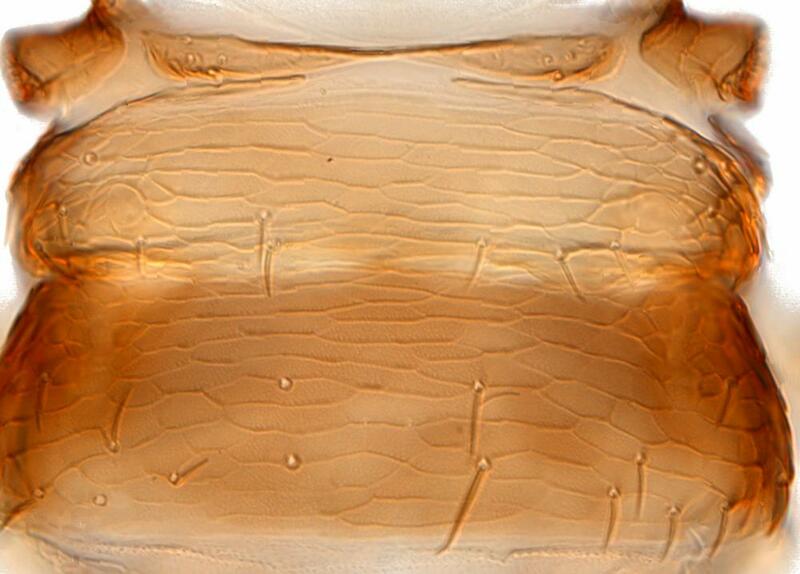 Male smaller and paler than female, sternite II with an internal glandular structure opening through an aperture on the antecostal margin of segment III; tergite IX with 2 pairs of short stout thorn-like setae. 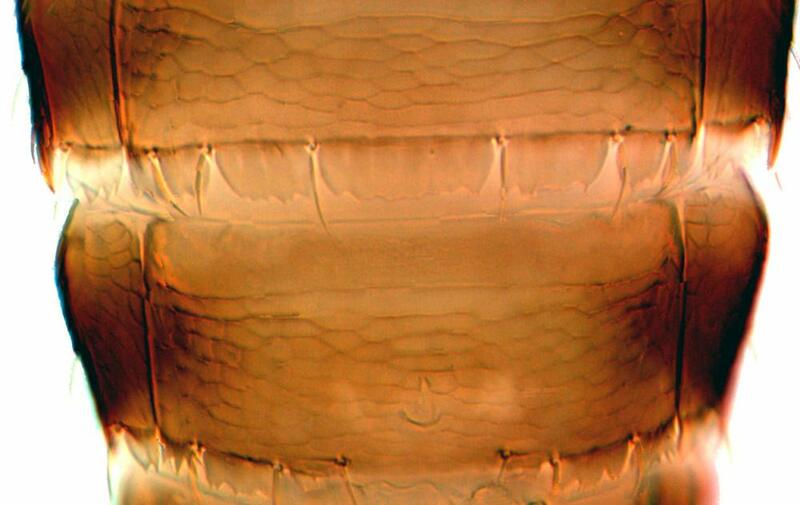 Only two species are recognized in the genus Apterothrips, of which A. apteris is essentially southern whereas A. secticornis is essentially northern (Mound & Marullo, 1996). 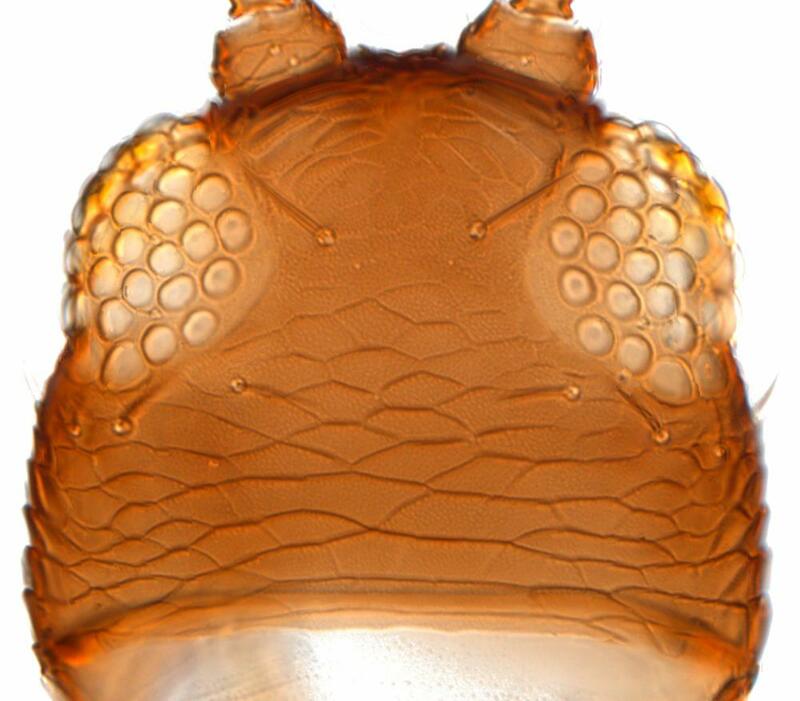 These two are distinguished by the number of lobes on the craspeda of the abdominal sternites, but are otherwise very similar. The males share with those of several Neotropical Thripidae species the character state of having a single glandular area on the anterior margin of the third abdominal sternite. Apparently associated with grasses and sedges. This species is known northwest from Nevada in the USA, also in northern Europe as far south as Italy.